June 14, was a horrific day for me and my family. It was the day I heard the horrible news of my father’s untimely death. The moment I heard it, my legs started trembling but I was still hoping against all hopes. A thousand thoughts flooded my mind. Maybe, he is still in the operation theatre? Maybe, he will come running toward me and hug me? However, his fate had befallen, his soul ascended. I still couldn’t understand why someone would do this to a righteous man like my father, Shujaat Bukhari. By this time, thousands had started to assemble inside the PCR. Well-wishers, friends, and family, all had their faces covered in tears of gloom. I was still in melancholy, trying to endure this pain when we left for our ancestral village with my father’s body. As I cried and wailed inside the ambulance, I kept hoping against all hopes that he might get up from the lap of death and embrace me. Papa was a man of principles. I know that for sure. My dad was surrounded by thousands of haters but he never uttered a word of bitterness against any of them. He was a thinker but did not have an atom’s worth of conceit. He was an epitome of knowledge, benevolence, munificence and a thousand other noble qualities. Papa did not treat the staff at his office as employees but as our extended family. He mentored his staff to make them the best amongst the lot. He was a philanthropist and during the devastating Kashmir floods of 2014, he would hardly spend time at home and instead rescue the marooned people and helped thousands hit by floods. Papa would never tell us about the help he extended to scores of families. He was a son who had made his parents proud by doing virtuous deeds and staying on the path of truth. He worked for peace his entire life and was martyred for it. He believed that one day Kashmir would become free from innocent killings. He was passionate about Kashmiri language and a linguist scholar. 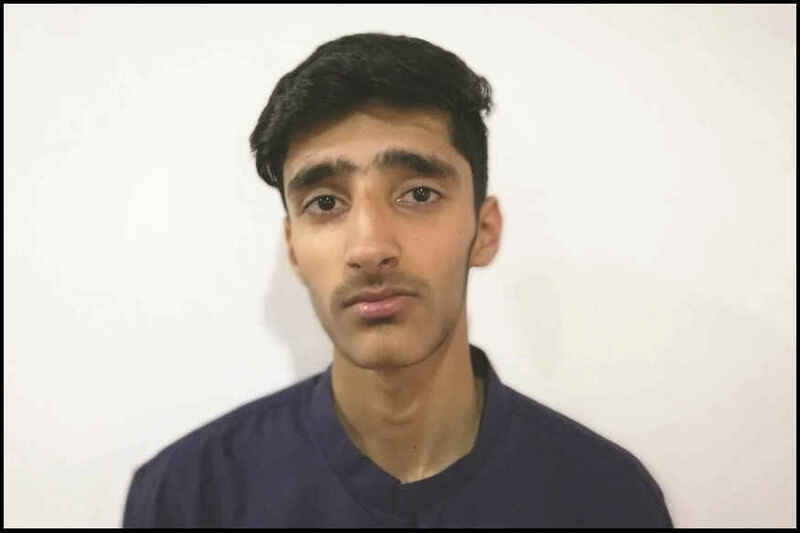 He had a tremendous love for his mother-tongue, and the much-awaited dream of his of seeing Kashmiri taught up to 10th standard in schools got realized in June 2017. He was altruistic, never had the desire for materialistic things of this mutable world. He attended hundreds of conferences with conscientious groups in every continent of the world to work something out for peace in Kashmir. Two of his cousins had also been shot dead during crossfire between militants and Army in the 1990s and with his death claimed our family lost a third person in Kashmir turmoil. His legacy is vast. I don’t know how I will be able to keep up with his expectations and magnanimity. He had always wanted me to become a man like his father, Syed Rafiuddin Bukhari, pious and generous. Kashmir’s English journalism has produced many great reporters and editors, few heroes, but no martyrs. Now it has produced both. He always stood for unbiased journalism and never took sides of even his brother, who is in politics. Every one of his products had an emotional connection with him and saw him as a stamp of authority. Maybe, that is why he was loved by everyone. It is not surprising that in less than 10 years, Rising Kashmir became one of the most prominent and loved newspaper of Jammu Kashmir. Had Almighty wanted, he could have lifted his soul when he suffered a stroke two years ago. However, the Almighty had saved the most auspicious day of Ramadan, Jumatul Vida for him. He was not fit for this cruel world. God wants pious people like him there. May Allah grant him the highest place in Jannah. May he be bestowed with the choicest blessings of Jannah.